Mirabell Chalets in Alexandra have found that Fraemohs solid timber chalets make ideal accommodation for visitors from all over the globe. In fact Mirabell Chalets’ owners Graeme and Deirdre Anderson have had such overwhelming demand for their chalets that they are planning to add more to accommodate the extra visitors. Graeme says that they have a number of regular visitors who like to stay with them year after year. “We have had one family coming to stay with us every Christmas for the past ten years and we have seen their children grow from little nippers to big, tall teenagers,” says Graeme. 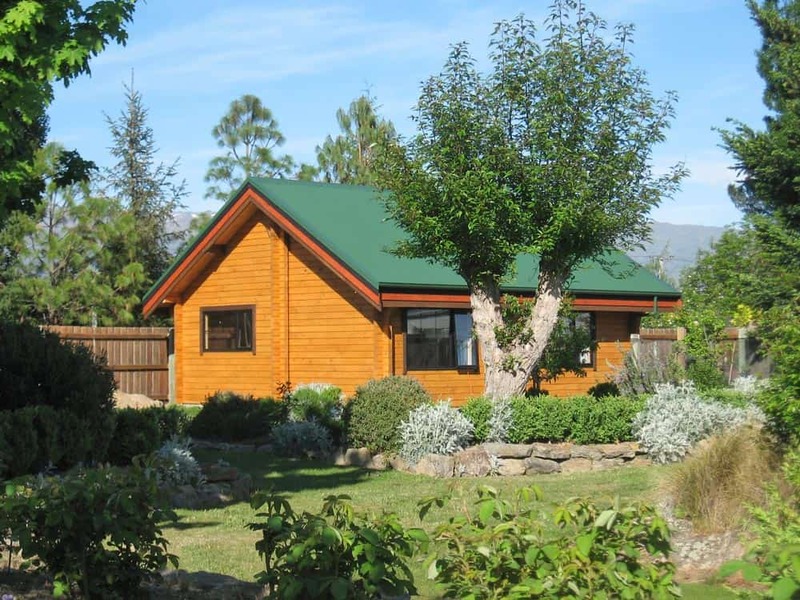 The Andersons initially built two one-bedroom Fraemohs chalets on their 5-hectare property in 2005 and lived in one while they built their new three-bedroom two-storey Fraemohs home the following year. Graeme says that he loves the look and warmth of timber and is not a fan of conventional New Zealand homes lined with gib-board and plaster. 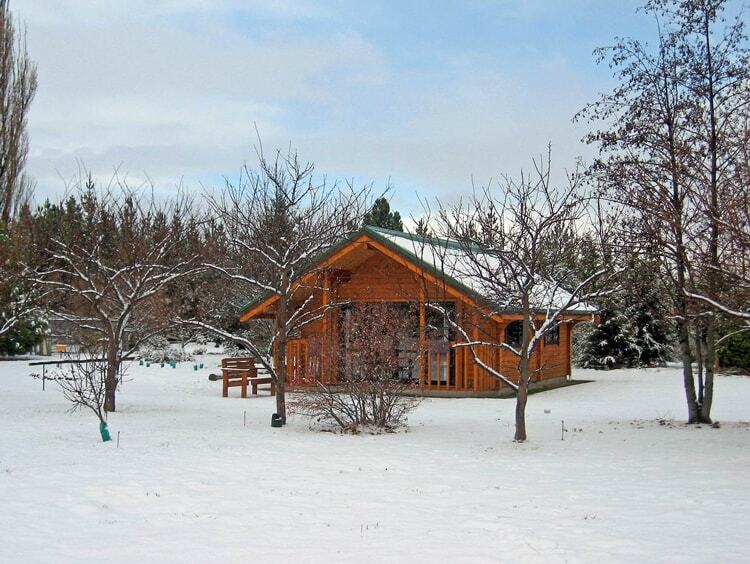 The solid timber chalets also work well in Alexandra’s climate, keeping nice and warm in the harsh winters, with only minimal heating, and cool in the hot, dry summers. Another reason for the Anderson’s choice of Fraemohs solid timber chalets was that Graeme has been able to do most of the construction work himself, despite not being a builder by trade. When he is not building chalets, Graeme’s regular job is doing the local rural mail delivery run five days a week and the Andersons also grow and sell cherries and raspberries on their property. The chalets have become so popular that the Andersons added another one in 2009 and Fraemohs is currently handling the consent process for another two dwellings – a smaller studio unit and a larger two-bedroom house. Graeme is very enthusiastic about the service offered by Fraemohs Homes, which is why he has no hesitation in choosing Fraemohs time and time again.